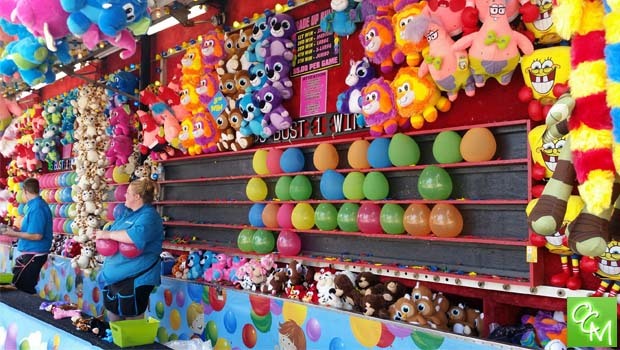 Troy Daze 2019 Carnival – Troy Family Daze returns this September to the Troy Civic Center with a free shuttle service going to and from the event offered at Zion Christian Church. Troy Family Daze 2019 will take place September 12-15, 2019. The event takes place behind Troy City Hall at the Troy Civic Center (500 W Big Beaver Rd, Troy, MI 48084) with FREE parking and shuttles to and from the event at Zion Christian Church. Troy Daze Admission and Park info 2018 – $3 admission for Troy Family Daze. Kids under 5 are FREE. Free parking a shuttles from Zion Christian Church at 3668 Livernois Rd, Troy, MI 48083. Pay 1 price carnival armbands are $25 on Friday, Saturday, and Sunday. Thursday night carnival special is $10 for 10 amusement rides. Bring the family to Troy Daze and experience all family-friendly fun! Troy Daze is located at the Troy Civic Center (3425 Civic Center Drive, Troy, MI 48083). For more info on Troy Daze 2019, visit the Troy Family Daze website.